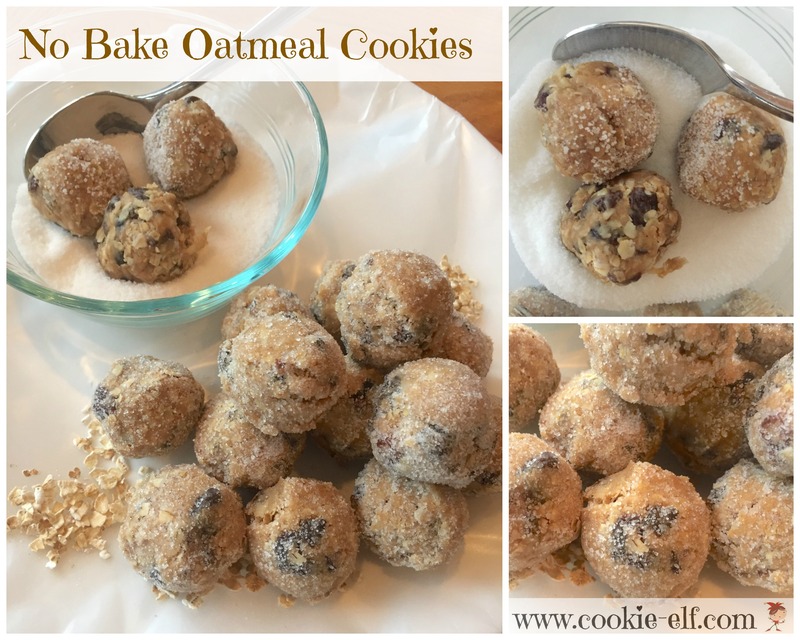 No Bake Oatmeal Cookies are among only a handful of no bake cookie recipes that call for oatmeal. They’re simple. They’re quick. They call for healthy, basic ingredients you have in your cupboard right now. And they’re really pretty, too! Use a cookie scoop or a spoon to measure the cookie dough into balls about 1 inch in diameter. If you press the dough firmly into the cookie scoop, you can form balls without rolling them between your hands. Or moisten your hands with water and roll balls. Set the cookies on a tray or board while you finish rolling all the dough. Optional: pour about ¼ cup granulated sugar into a small bowl. Use a teaspoon to roll balls in sugar to coat them. Set cookies in an airtight container with waxed paper in between layers. The cookies will keep for up to two weeks at room temperature. If you like firm cookies, store them in the refrigerator. The cookie dough consistency can vary depending on the peanut butter brand you use. If the cookie dough is too dry, add an extra teaspoon or two of maple syrup. If it is too moist, at an extra tablespoon or two of oatmeal. You can replace raisins with dates or chocolate chips. Rolling the cookies in sugar makes them look pretty! See more no-bake cookie recipes on our Pinterest board.